I think I'll wait for a friend to buy it, then I'll borrow it! I would rent it...but all of the Blockbusters near me were demolished. I don't really want to buy it...so I guess I'll just wait two years for a price drop? Well, now that I've played this game, I think the reviews have actually been overly generous. I'd give this game 4/10. It feels way too light on content, and I wouldn't consider many of these mini-games to even be worth $2. I thought I would at least enjoy Gamer, but honestly, it's just annoying having to worry about 2 screens at once. I hate to say it, but I think the 2nd screen is a bad idea, and the only way I've really enjoyed the GamePad so far is in other games where I could use it for off-TV play. This game has been took off my pre order list. Sorry but the reviews have scared me off. I will use that money to buy Project X Zone instead. Looking at this site's review, I guess my fears were unfounded. I just know some people with similar tastes as mine who imported the game and said it was way too repetitive; to the point of boredom. when the main word that comes up in a review is "repetitive", I can't take it too seriously. Most games are repetitive. And they stay interesting as long as they're gratifying. Some games can have you do the same exact thing yet still seem fun. Others... not so much. I'm not going to argue anything considering it's not my opinion, but the people who I talked to aren't snobby types or anything. They just didn't expect the game to ever be localized, imported it, and had some gripes which ruined it for them. So guys, what's the final verdict - worth a purchase? Of course it is ultimately your opinion, but all reviews are. 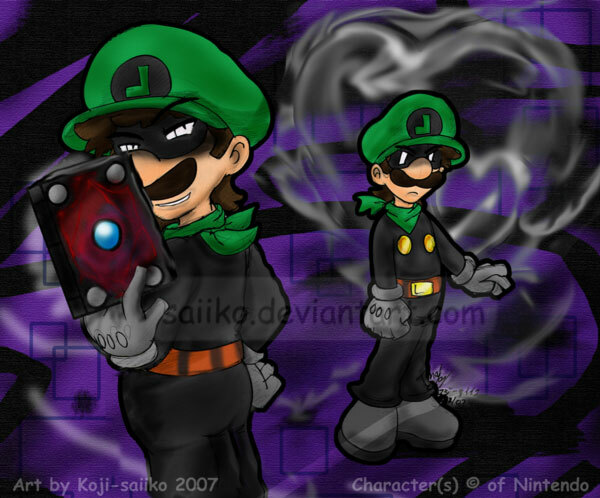 I'm just looking to get some feedback before tonight when I switch on my Wii U and download Luigi U and possibly this. I'm not expecting an actual "game," if that helps. I've read lots about it and I actually haven't played any of the WarioWare games, so I won't have that perspective to kind of skew my assumptions of what this is. Basically, I have no expectations, good or bad lol so for a guy like me, do you think I'll have fun with it? Thanks! Question: What does it take to 'beat' the game and view the credits? Just go through each mini-game once? @Dev I know right? Busting through the window, seriously? I really want to get it, but I have to wait. I download all my Wii U games, and I just got New Super Luigi U, so my dad probably won't be very happy about me using his credit card again. I've seen the reviews, and I've noticed that reviewers don't like it, but players do. I can tell that my favorite games will be Gamer and (Miiverse) Sketch and that I'll spend WAY too much time with the Cluck-A-Pop stuff. Found another positive review! Well, it's pretty positive. Not me. Me & my brother constantly play Islands, trying to beat each other. This game's reviews are WAY worse then I expected! They're way worse than they should be. It's not a perfect game by any means, but it doesn't deserve the harsh reception it's been getting.